Comedian John Felts appeard on the 700 Club to discuss his viral video "Stuff Christian Singles Hear" and his budding career as a clean comedian. The 700 Club Interactive show (7CI) is hosted by Gordon Robertson and Terry Meeuwsen. 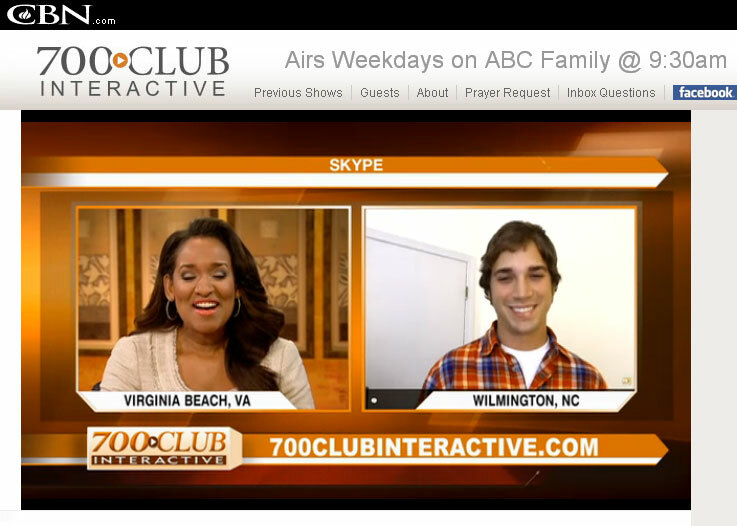 John's segment aired Tuesday, August 21 on ABC Family at 9:30 am ET. A well-timed and clever comedian, John delivers funny perspectives on dating, marriage, parenting, American culture and struggling to do the right thing. John contacted me last summer expressing his desire to join my roster. I was impressed by his video clip, and drove to Wilmington to watch a live performance. I've seen John several times since then and he continues to amaze me with his progress. He has a solid hour of material and his stage presence continues to improve. 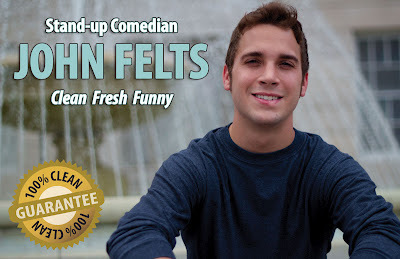 Not just a Christian comic, John performs clean comedy for corporate events, colleges, Chamber of Commerce banquets and comedy clubs across the U.S. Contact us to hire comedian John Felts for your next event!